The cap table is a simple yet detailed document that resembles a conventional spreadsheet, which displays all the shareholders in the business and how many shares each of them owns. Are you starting your own business and a bit overwhelmed on how to manage all the administrative work, like organizing company documents and recording the company shareholders? Well you should consider creating a cap table to keep all your company shares and list of shareholders in place. A capitalization table, also called a cap table, is one of the most common and crucial lists that every entrepreneur needs to know to make smart decisions in their business life cycle. The cap table is a simple yet detailed document that resembles a conventional spreadsheet, which displays all the shareholders in the business and how many shares each of them owns. Nevertheless, the simplification of what the table holds is not the same as the efforts required for the management of the table. Investors want to clearly understand who you have mentioned on your cap table and why. 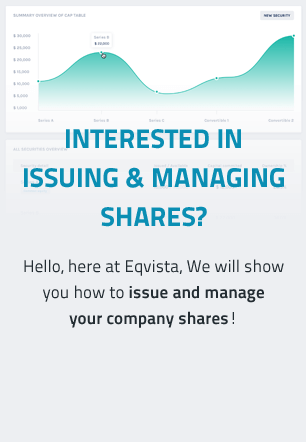 Other than this, as your company grows, you would also want to know how your ownership would be affected if someone buys shares of your business. Every story about your company from the start till now would be shown clearly in the cap table, which includes complying with regulations, communicating with shareholders, recording transactions, and listing company documents. This article explains all you need to know about the cap table so that you can fulfill the right needs of the business as an entrepreneur. So, let us understand what the cap table is and what items there are. A capitalization table is a list of the company’s securities and who owns it, at the most basic level. The securities of the company mean the warrants, options, shares, etc. In short, the cap table tells you who owns what in your company’s structure. There are more complex cap tables which include the formulas that display the models of several hypothetical transactions. These transactions include public offerings, sales of the Company (M&A), or new financings. Cap tables can be detailed in nature, where you can provide the granular detail on each owner’s holdings and each type of security. On the other hand, cap tables can also be summary, where you can group all the holders into simplified buckets like the “investors” and “founders” and/or group the various series of preferred shares into one preferred share bucket. In short, there is no right or wrong format for the cap table. Everything depends entirely on how you would use the cap table in the future or at that time. Before we can get into the details of what the cap table holds, let us understand why a cap table is needed in the first place. When a business grows and develops, the cap table would show all the investments that were made over time, along with the principal shareholders of the company. These points are essential for making any hiring and financing decisions for the company, keeping in mind how it would affect the equity and shares of the business in the future. For instance, let’s say your CEO provides a proposal to the investors, demanding for equity compensation comprising a specific percentage of the corporation. With the help of a detailed and well-organized cap table, you would be able to figure out the degree of the equity dilution that you, as well as the other shareholders, would suffer from this. Along with this, you would be able to see the specific number of shares that the percentage would represent and make a quick decision if you accept the demand or not. All in all, the cap table would be able to provide you with a clear visualization that would include all the details needed to make a decision, right at your fingertips. Your decision making would become faster and smarter, and you can get back with an answer regarding their demands. Authorized shares: The total number of shares that the corporation can issue. Outstanding shares: The total number of shares that are held by the company’s shareholders. Unissued Shares: The total number of shares that are left to be issued. Shares kept for stock option scheme: These are the shares that have not been issued and are reserved for future hires. Names of shareholders: Those shareholders who have bought shares of the company. Shares owned by each shareholder: The total number of shares that each of the shareholders holds of the company. Stock options: The stock options that each shareholder owns. Fully diluted shares: The total number of outstanding shares, which assist the shareholders in figuring out the value of the shares they hold. Stock Options remaining: The total number of stock options available for any new shareholders who might join in the future. When looking at the equity of the company, this has to be the very first question. For example, if a person has just four hundred shares out of 1 million shares of the company, they have a little of the company. On the other hand, if the person has four out of twenty shares of the company, then they hold a huge part of the business. Issuing another share means diluting the shares of the existing shareholders as well as your profits. Which type of investors are purchasing the shares? The company’s longevity and main decision making depends entirely on the types of shareholders the company has. Learn all about the investors and then agree on issuing shares to them, as they would be a big part of the company later on, and you do not want to lose the company or make wrong decisions. What is the exercise price of your company’s share option at the current period? The price at which you would sell the options of your company is the exercise price. The prices would change when the value of the company changes, as they are based entirely on the fair market price and are non-negotiable. What is the vesting schedule you offer? The vesting schedule of the company is when the shareholders get an incentive to stick around with the company and not sell off their shares right away. Hence, you need to have open options for the investors and staff to have the encouragement of sticking with your company for a long time. A majority of Series B and C together. You would be able to make decisions easily and faster if your cap table has the columns that display the percentage of Series B and C shares held by each holder together, and the percentage of Series A held by each holder. With this, you would be able to determine who to collect the approvals from, for the new financing. In short, you shouldn’t have to do the calculations from the beginning each time you open the cap table. During your business life cycle, there would be many times where you would need to share your cap table with many people. Hence, it should be in the format where it is easily manipulated and accessed by anyone. Moreover, Excel has many range in formulas and everyone uses Microsoft Excel. After your company gets bigger, think about migrating your cap table from excel to software that manages cap tables online, and all in real time. Keep the same names that you use and be consistent with it in the complete cap table. This means that do not use the complete name in one place, and then use the nickname in some other place. It would confuse both you and anyone you share it with. Even though most of the information in the cap table is from the particular parts of an option grant agreement or a stock certificate, some things are stockholder-specific. This means, adding the email addresses and the physical address of the shareholder can come in handy. Moreover, ensure that you get their home address since a person can leave the company and you would need a way to contact them after it. In case there is a shareholder who is being issued shares from many sources, avoid aggregating the shares into a single certificate. This is because not all the shares are the same and with noting the details down now, you can save time and money later on. The same logic applies to every other detail on the cap table. They kept the name of the company as The Tech-Savvy World, and it was incorporated as a C-corporation in Delaware. This means that it had 10,000,000 shares of Common Stock outstanding, that would be issued at a par value of $0.001 per share. And at the current point, the company has the value of $10,000. Jack works on the food and Joe works on the drones. After working for months on this, they successfully begin their business with their first flight. The idea was great and the demand was high, but the cash to run the business wasn’t there. That is when Joe feels that outside funding is needed for the seed capital. Transparent CVentures agrees to a $3 million with a 20% discount provision. The agreements are signed and money is provided. Keep in mind that no share has been issued as of yet, so the cap table remains the same. Fast-forward 24 months. All is going great and there is a need for another investment since the company is not profitable as of yet. The next round is Series A after the seed funding (read types of funding to know more). Joe and Jack determine that they need $8 million and find two investors to help out in this. ABC Ventures would lend about $4 million by leading the round. And BCD ventures are participating with an investment of approximately $3 million and CDF Funding decides to join in and invest about $1 million. Before any of these investments, the company’s value is put at $15 million, by outside analysts. As per the Series A, the price per share is $1.50. We get this value from dividing the $15 million pre-money valuation by 10 million shares.You may think that the total sum of the post-money valuation would be this plus the amount being raised, but that is not the case here. With this step now, both Jack and Joe update their cap tables to keep a track of what just happened. Let us now understand how the investments convert into equity here. Transparent CVentures invested $3 million with the capability to buy the shares at 20% discount to the pre-money valuation at Series A. With a 20% discount, the value is $1.20 per share. Now, Transparent CVentures invested $3 million, and for that, they get about 2,500,000 shares ($3 million divided by $1.20 per share) which has a value of now $3.750 million, which is 1.25 into the invested capital. In the first seed round, BlackBox Funding invested $3 million with the cap valuation of $10 million. And due to this, they can buy the shares at $1.00 per share ($10 million cap/10 million shares outstanding). In short, they buy 3 million shares from the seed investment. With the new share price of $1.50 per share, their investment is now valued at $4.5 million, 1.5 times the invested capital. Now moving ahead where ABC Ventures, at a share price of $1.50, they can receive 2,666,666 shares with the investment of $4 million. BD Ventures purchased 2,000,000 shares with the $3 million investment. In this round, with a $1 million funding, CDF Funding buys 666,666 more shares out of the Series A stock. Now, after the Series A round, the ownership of the company has broken down. The valuation of the company after raising the Series A round is about $30 million. And if you remember, we had hoped that the valuation would be 22 million, after adding the total amount funded again along with the previous valuation of the company, which didn’t work that way. Moreover, any clause for discounts or valuation caps allows the investors to buy the shares are a lower rate, which means that they can buy many shares in the end. Other than this, it is vital to note that the share percentage of Joe, Jack, and the employee equity pool has reduced. This is called dilution. And if we look at the dilution financially, it not the end of the world, as a shrinking slice of the current pie is still valuable if the company’s size continues to grow. However, dilution matters a lot in cases that the company doesn’t grow fast or doesn’t grow at all. In short, before the Joe and Jack can move to another round to raise funding by exchanging the equity, they need to see if their decision would not affect the ownership. And with the help of the cap table properly organized and up to date, Joe and Jack would be able to make a smart choice. In short, being an entrepreneur means that you need to create a proper cap table and keep it with you. This cap table has to be well-detailed and organized for you to make decisions when needed. From our example, you can see that the shareholding can become quickly complicated with various investors and Series fundings. To learn more about the cap table in details and the mistakes to avoid in a cap table, check out the next articles.